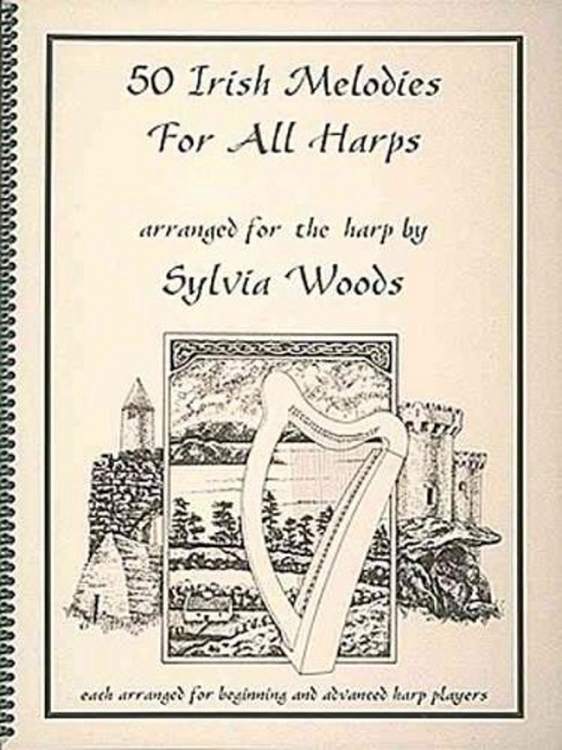 This book includes 50 of your favorite Irish songs (with lyrics) in multi-level arrangements for harp by Sylvia Woods. Each piece has two arrangements: an easy version, and one that is more difficult. As well as songs from Ireland, this book also includes some Irish-American songs that have found their way into the Irish music tradition, such as When Irish Eyes Are Smiling, Too-Ra-Loo-Ra-Loo-Ral, and My Wild Irish Rose. This book will be invaluable on St. Patrick's Day, but is fun all year 'round! The pieces are fingered and are in the key of C or sharp keys. Lyrics and chord symbols are indicated. Some require lever or pedal changes within the piece.